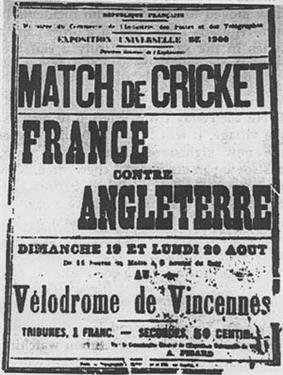 The 1900 Summer Olympics (French: Les Jeux olympiques d'été de 1900), today officially known as the Games of the II Olympiad, was an international multi-sport event which was celebrated in 1900 in Paris, France. No opening or closing ceremonies were held; competitions began on May 14 and ended on October 28. The Games were held as part of the 1900 World's Fair. 997 competitors took part in 19 different sports. 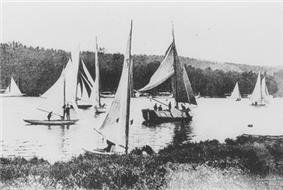 Women took part in the games for the first time and sailor Hélène de Pourtalès became the first female Olympic champion. The decision to hold competitions on a Sunday brought protests from many American athletes, who travelled as representatives of their colleges and were expected to withdraw rather than compete on their religious day of rest. At the Sorbonne conference of 1895, Pierre de Coubertin proposed that the Olympic Games should take place in 1900 in Paris. The delegates to the conference were unwilling to wait five years and lobbied to hold the first games in 1896. 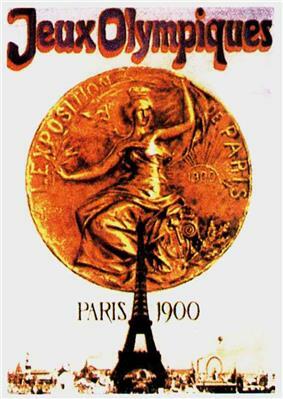 A decision was made to hold the first Olympic Games in 1896 in Athens and that Paris would host the second celebration. 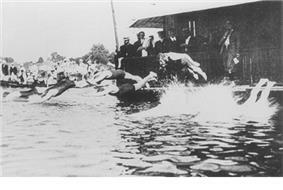 Some unusual events were contested for the only time in the history of the Games including automobile and motorcycle racing, ballooning, cricket, croquet, Basque pelota, and 200m swimming obstacle race and underwater swimming. This was also the only Olympic Games in history to use live animals (pigeons) as targets during the shooting event. United States dominance in sprinting was matched in the longer track races by United Kingdom. Only Canada's first Olympic title in the shorter of the two steeplechases, ruined a perfect record for the British. 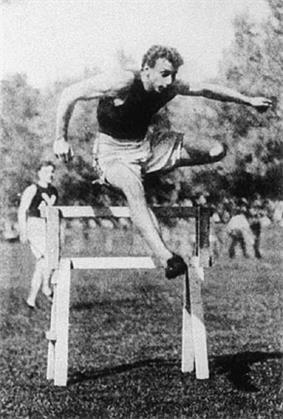 Orton won his title less than an hour after placing third in the 400 metre hurdles. 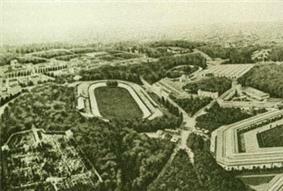 The most contentious of all the events in these Games began and ended in the Bois de Boulogne. Intended to follow the track of the old city wall, the course was poorly marked out and runners often got lost and had to double back on themselves before continuing. On some parts of the course, runners had to contend with distractions from cars, bicycles pedestrians and animals. 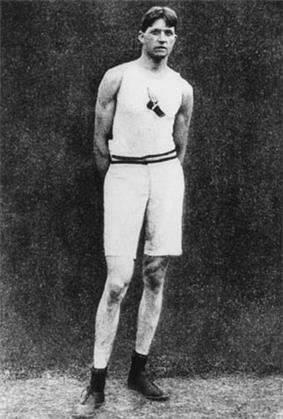 Arthur Newton of the United States finished fifth but stated he had not been passed by any other runner during the race. Another American, Richard Grant, claimed he was run down by a cyclist as he made ground on the leaders. French honour seemed to have been satisfied when Michel Théato crossed the finish line and a military band struck up La Marseillaise. However, modern research has revealed that Théato was born in Luxembourg and maintained Luxembourgian citizenship throughout his life. 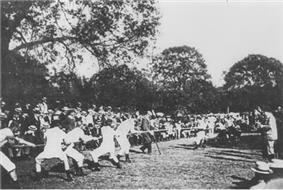 The croquet tournament was notable as it marked the first appearance of women at Olympic level. 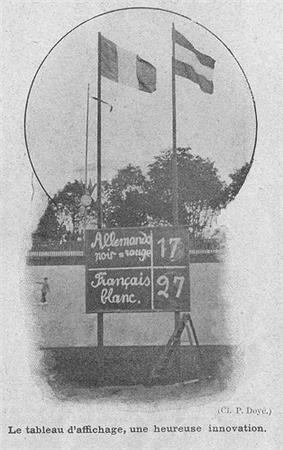 Madame Després, Madame Filleaul Brohy and Mademoiselle Ohnier were eliminated in the first round of competition. All players were French. A single paying spectator attended the tournament, an elderly English gentleman who travelled from Nice for the early stages. An unofficial two-ball handicap competition was also held. Margaret Ives Abbott, a student of art from Chicago, played in and won a nine hole golf tournament on an October Tuesday in Paris. She died in 1955 without being aware that the tournament was part of the Olympic Games and she had become America's first ever female Olympic champion. A high quality men's tournament saw three past or future Wimbledon champions reach the semi-finals. Lawrence Doherty reached the final when older brother Reggie stepped aside and let his sibling advance to the final. The two refused to play other in what they considered a minor tournament. On the 11th of July a landmark was reached in the history of the Olympic Games. 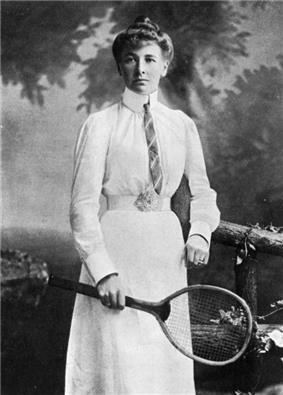 Charlotte Cooper, already three times Wimbledon champion, took the singles championship to become the first individual female Olympic champion, also winning the mixed doubles event. 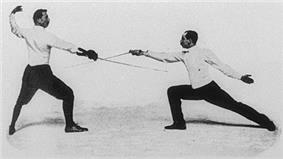 The 1900 games were not governed by a specific Olympic organizing committee, but instead held as an appendage to the IOC. In the absence of any overall authority capable of making an official distinction of this kind, no decision as to the official status of any event was made at the time of the Games. A document from 1912 exists, listing results from the 1900 Games, but the reliability of this paper is questioned by Olympic historians. This document forms the basis of the results of the Paris games in the IOC database. In addition to these, 71 schools and 92 military events were also held across a range of sports. Participants at the 1900 Olympic Games. Green shading indicates participation in the previous Games, while blue indicates first-time participants. The following 24 nations sent competitors to the 1900 Olympic Games, according to the IOC. ^ Carmichael, Emma (July 27, 2012). "Gawker's Guide to the Olympic Sports You're Pretty Sure Don't Exist: Shooting". Gawker. ^ The IOC site for the 1900 Olympic Games gives erroneous figure of 95 events, while the IOC database lists 85 ones. Probably this discrepancy in IOC data is consequence that the figure 95 just derived from the "1900 Olympic Games — Analysis and Summaries" publication of Bill Mallon, who used his own determination of which sports and events should be considered as Olympic. ^ Joint, Laura (21 August 2008). "When Devon's cricketers won Olympic gold". BBC. ^ "Demonstration and unofficial sports". GBRathletics. Retrieved February 10, 2014. ^ Soltis, Greg (July 27, 2012). 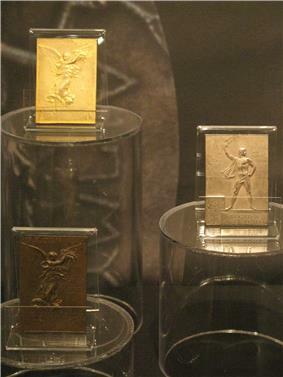 "Olympic Events Through History". LiveScience. ^ Adolphe Klingelhoeffer was the son of a Brazilian diplomat. 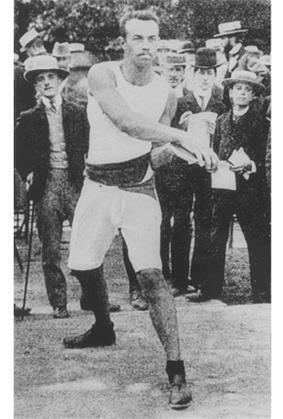 Although he was born and raised in Paris, he had Brazilian citizenship in 1900 and maintained this citizenship until at least the 1940s per French athletics historian Alain Bouille. As this was discovered in late 2008, his participation is usually attributed to France. . Accessed 2009-07-22. Archived 2009-07-24. 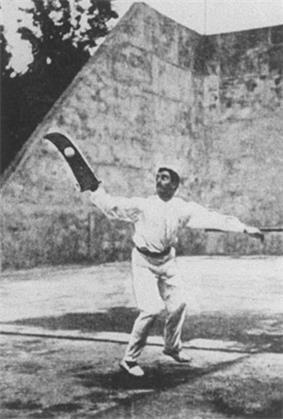 ^ "Colombia at the 1900 Paris Summer Games". Sports Reference. Retrieved April 14, 2014. ^ The winner of the marathon—Michel Théato—was a Luxembourger. However, this was discovered only decades later, and, so, his participation and victory are usually attributed to France. ^ "New Zealand at the 1900 Paris Summer Games". Sports Reference. Retrieved November 30, 2013. ^ Mallon, Bill (1998). The 1900 Olympic Games, Results for All Competitors in All Events, with Commentary. Jefferson, North Carolina: McFarland & Company, Inc., Publishers.